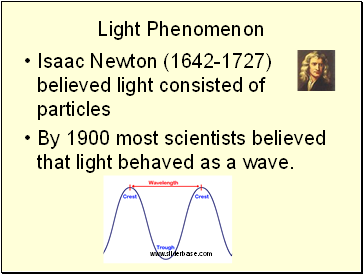 By 1900 most scientists believed that light behaved as a wave. 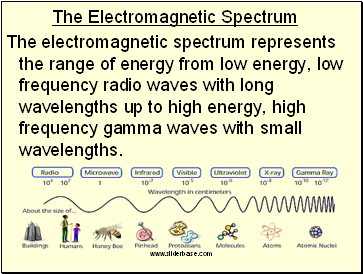 The electromagnetic spectrum represents the range of energy from low energy, low frequency radio waves with long wavelengths up to high energy, high frequency gamma waves with small wavelengths. 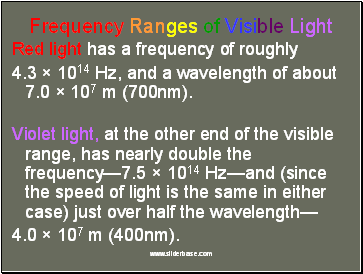 Visible light is a small portion of this spectrum. 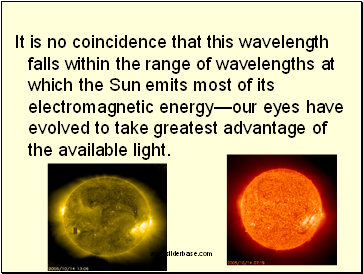 This is the only part of this energy range that our eyes can detect. 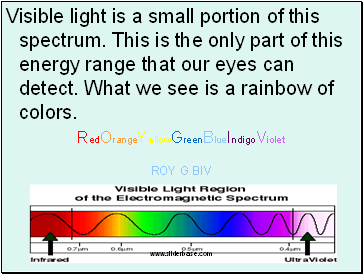 What we see is a rainbow of colors. 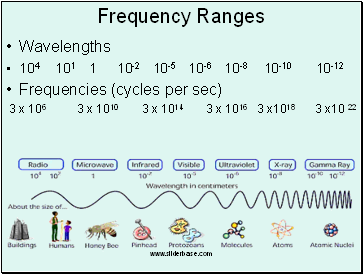 4.3 × 1014 Hz, and a wavelength of about 7.0 × 10­7 m (700nm). 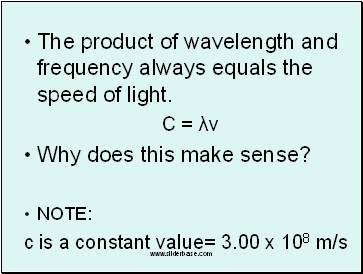 4.0 × 10­7 m (400nm). 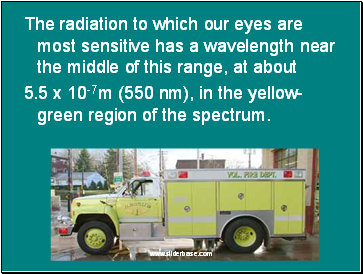 5.5 x 10-7m (550 nm), in the yellow-green region of the spectrum. 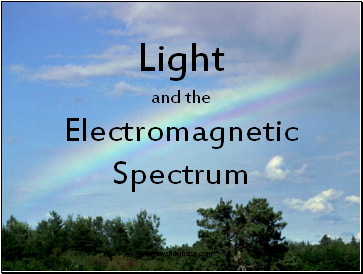 It is no coincidence that this wavelength falls within the range of wavelengths at which the Sun emits most of its electromagnetic energy—our eyes have evolved to take greatest advantage of the available light. 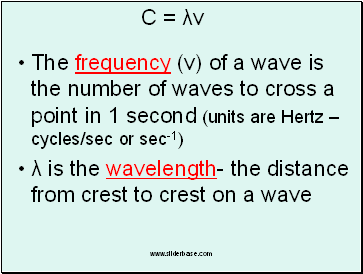 The product of wavelength and frequency always equals the speed of light.